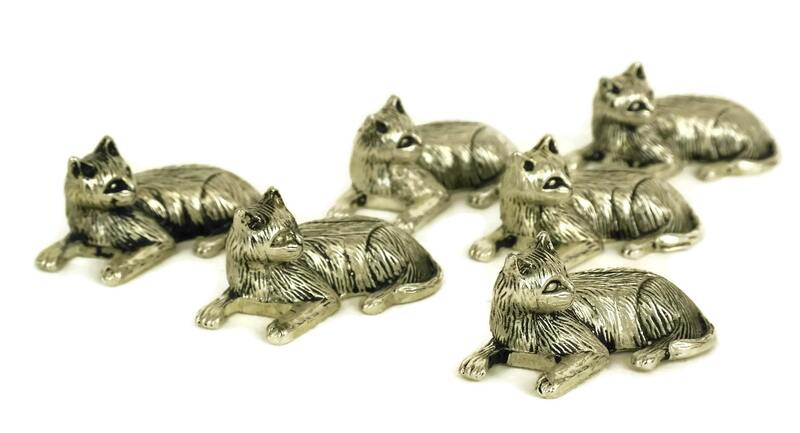 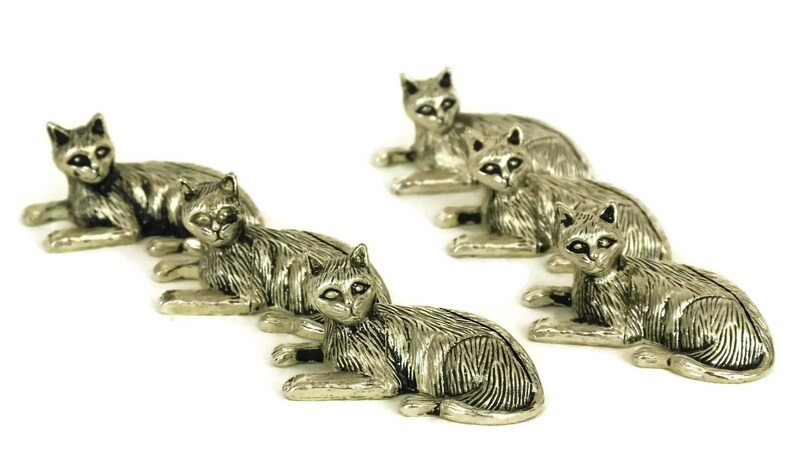 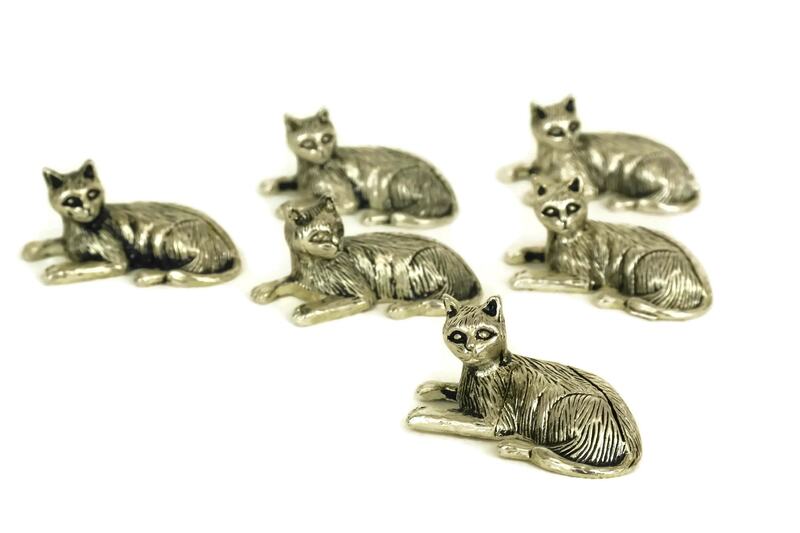 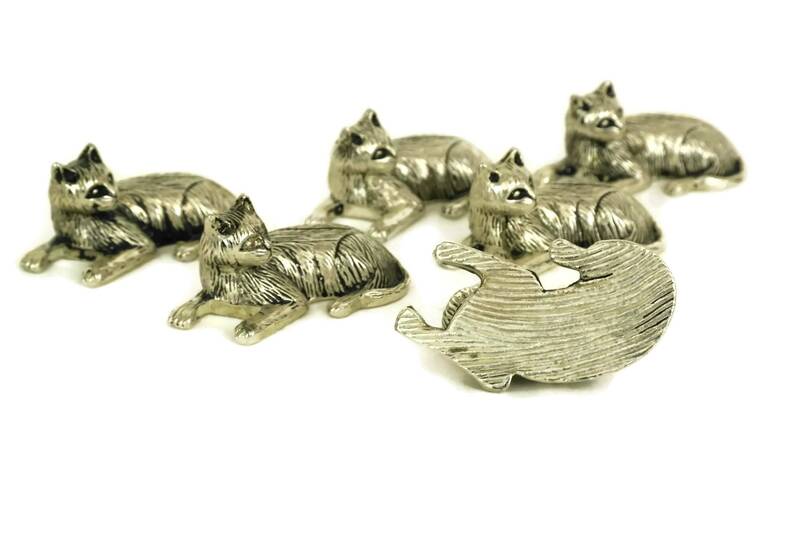 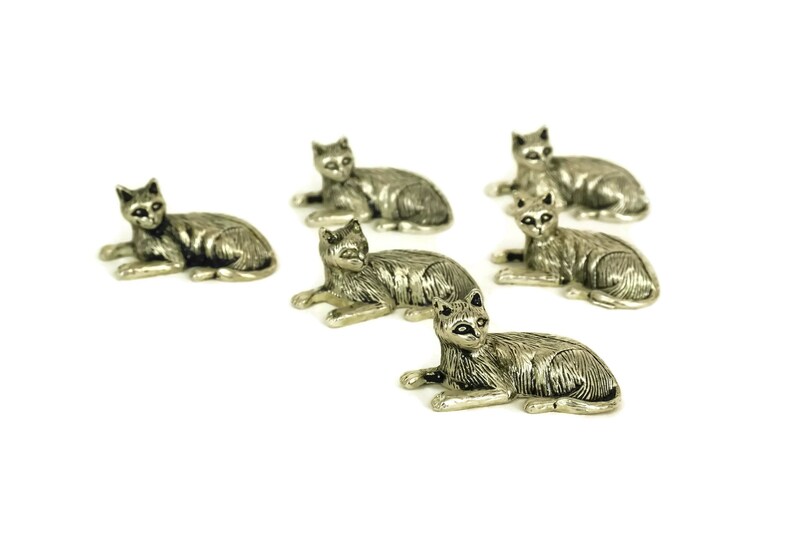 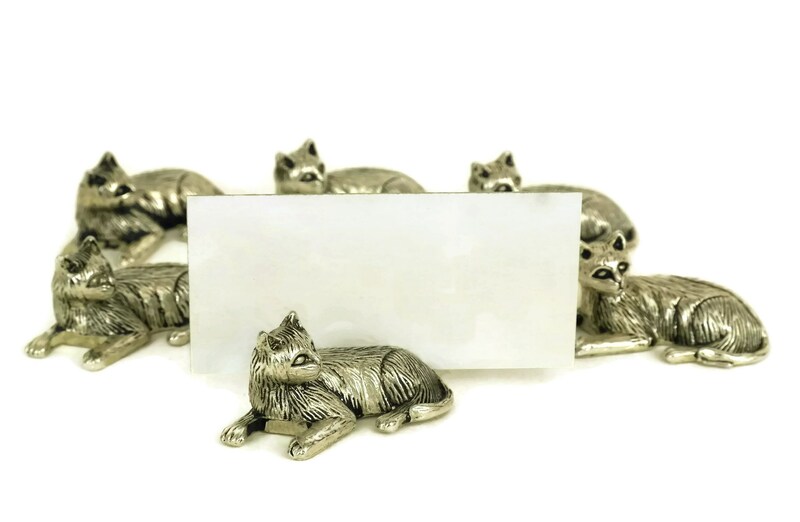 An adorable set of 6 vintage cat figurine place setting and name card holders. 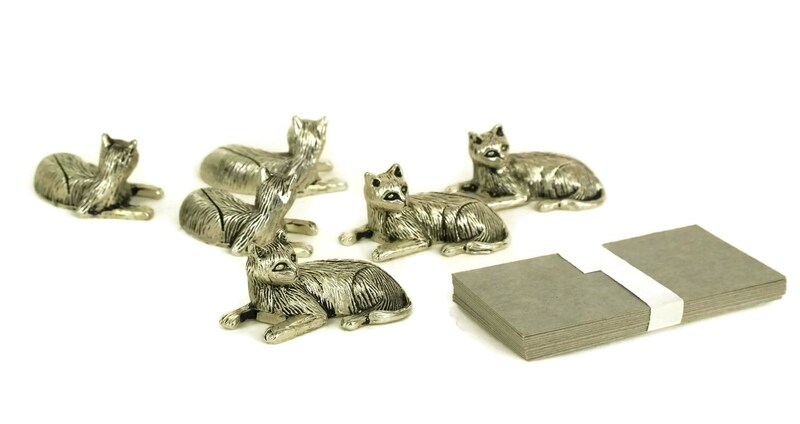 Each animal figure has been cast from silver tone metal and has a thin slot on the back to hold menus or name cards. 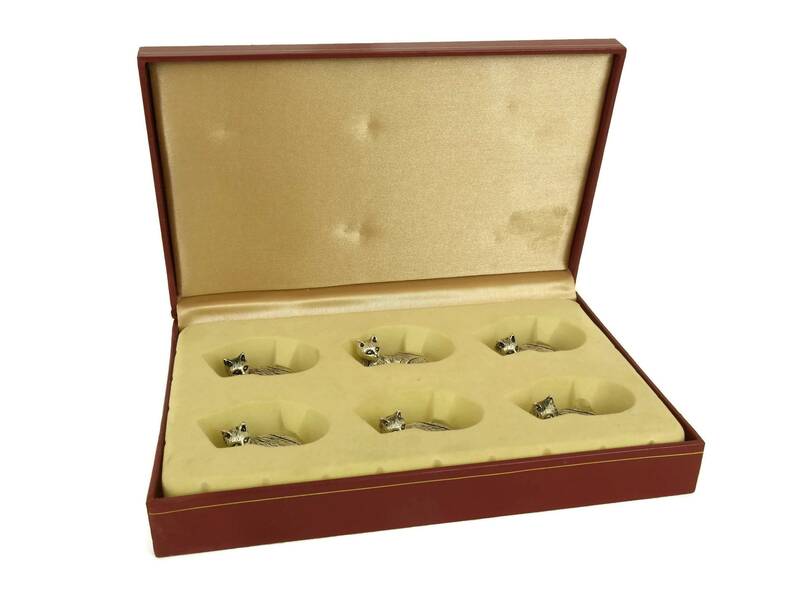 The set comes in its original presentation box and includes a stack of unused name cards. 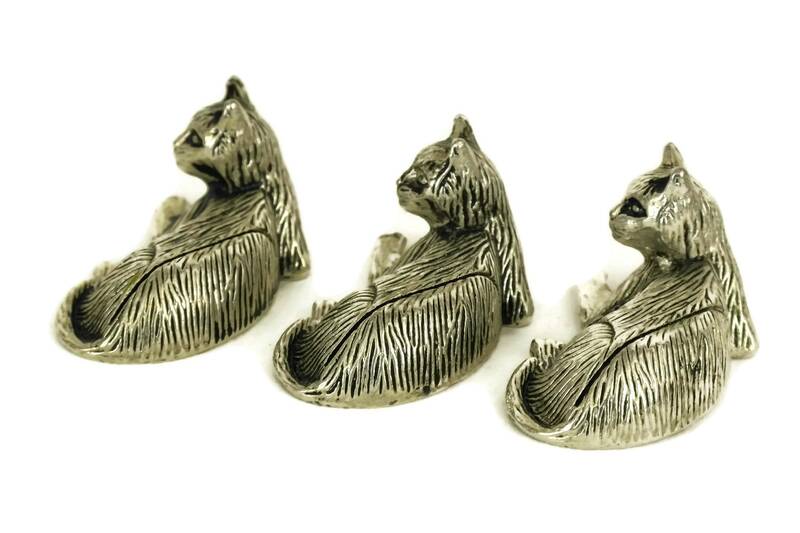 (3,25 cm x 2 cm).